Where would Southern Rock be with Lynyrd Skynyrd? Hard to say. 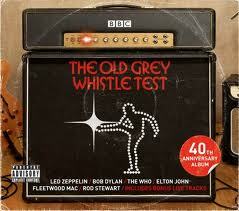 The bigger question is, Where would the band have been without Leonard Skinner, the man who inspired their name? 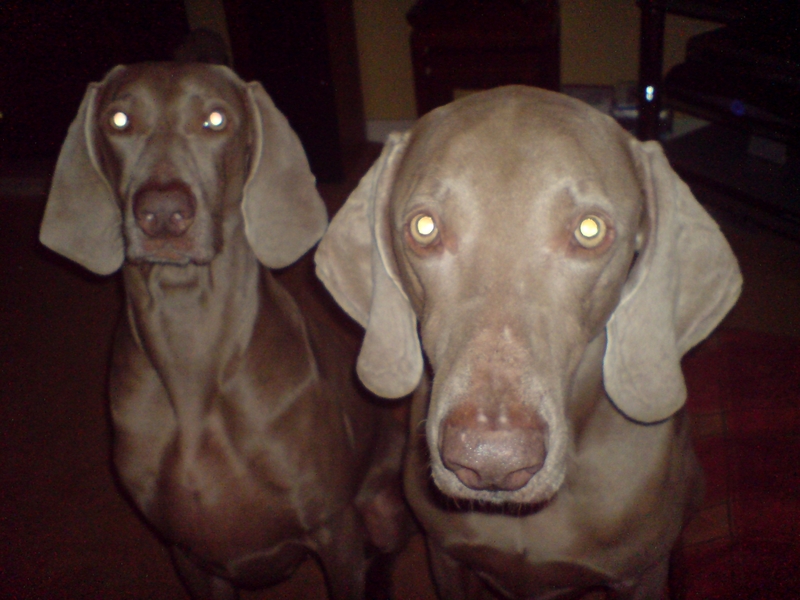 Sadly, Skinner has passed away in his sleep in North Florida at the age of 77. Leonard Skinner, a gym teacher and coach at the Robert E Lee High School in Jacksonville, Florida in the late ’60s, was a by-the-books sort who had zero tolerance for students disregarding the school’s policy against males having long hair. Coach Skinner sent numerous students to the principal’s office for violating dress code rules, two of them being aspiring musicians Gary Rossington and Ronnie Van Zant. 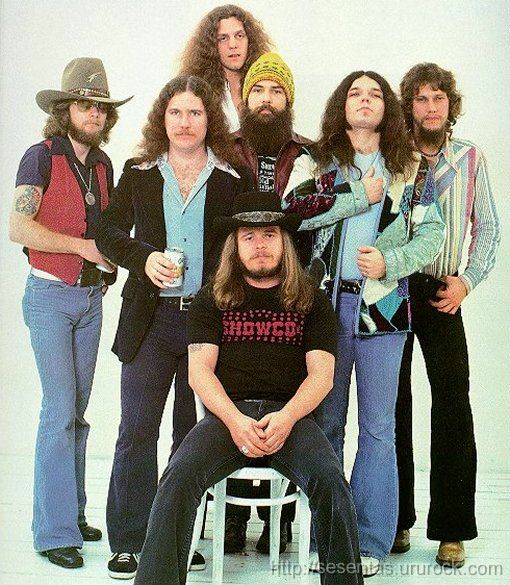 Van Zant, who was later suspended from the school, decided to get back at Skinner by changing the name of his fledgling rock band One Percent to Lynyrd Skynyrd. 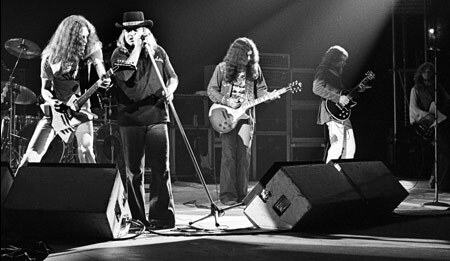 Lynyrd Skynyrd went on the multi-platinum success in the ’70s with hits such as Sweet Home Alabama and Free Bird before an October 1977 plane crash in Mississippi killed Van Zant; guitarist Steve Gaines; Gaines’s sister, vocalist Cassie Gaines; an assistant road manager; and the pilot and copilot. Surprisingly, Skinner bore no ill will towards the band who mangled and immortalized his name. 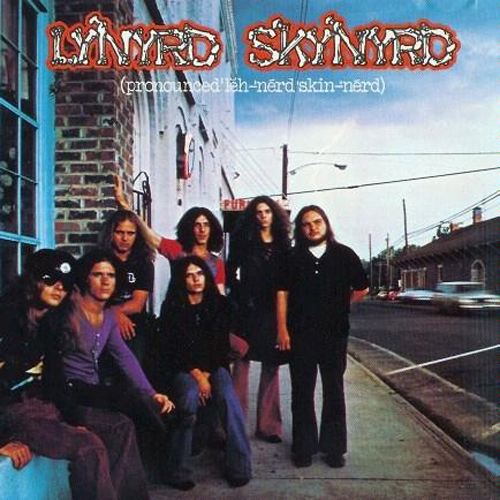 In fact, he even gave the group permission to use a picture of his Leonard Skinner Realty sign in the sleeve of their third album, 1975’s Nuthin’ Fancy – a move which endeared him to Lynyrd Skynyrd fans. 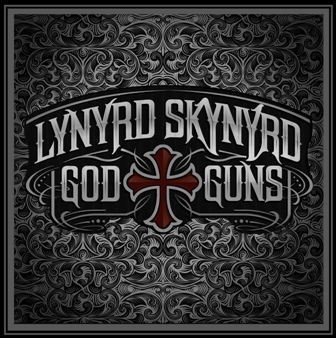 Lynyrd Skynyrd return with a new album “Gods and Guns” which is released in this country on the 28th September 2009. At this point I have to admit that I sort of lost my way with Lynyrd Skynyrd at the end of the 70’s when I moved from my “rock” phase into a period of “punk/new wave” listening. Free Bird will forever be locked in my memory banks as part of the soundtrack to a fortnight’s camping holiday in Arran back in 1978, where it was played to death on a jukebox in a pub where yours truly ruled supreme at the pool table for several drink enhanced hours with a 60-year-old dearie for a playing partner, the locals were not amused! 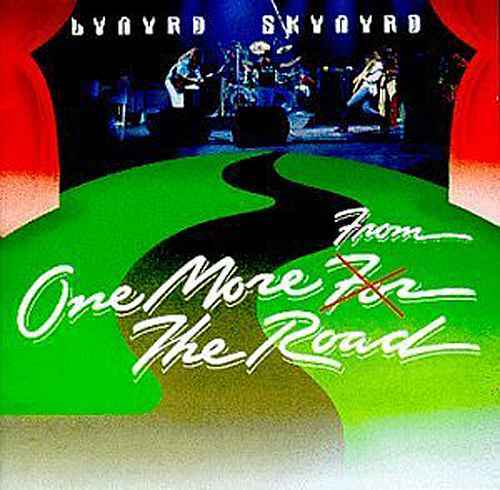 Their other album which I still play was their epic double live set “One More From The Road” released in September 1976. 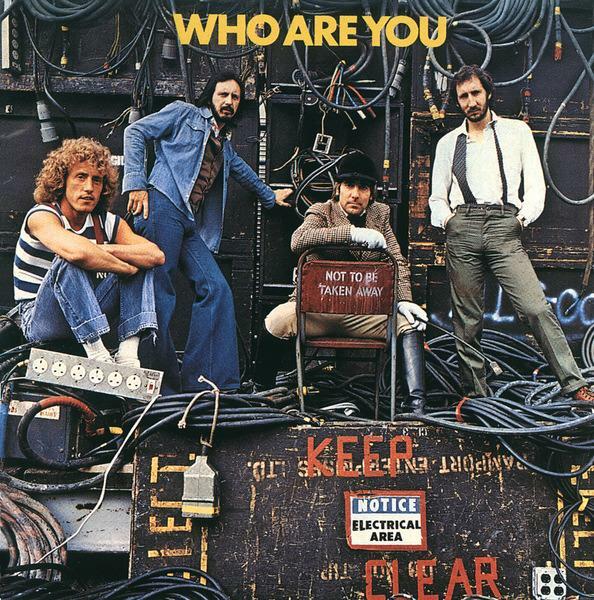 It was touring as a support act to The Who throughout their 1973 “Quadrophenia Tour” that broke them big in the US, thus it is somewhat ironic that both bands would release within a year of one and other albums with sleeves which would be tragically prophetic. 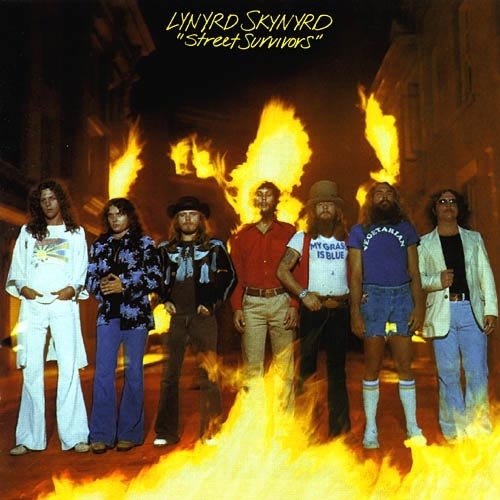 Street Survivors was their fifth studio album released on October 17, 1977. 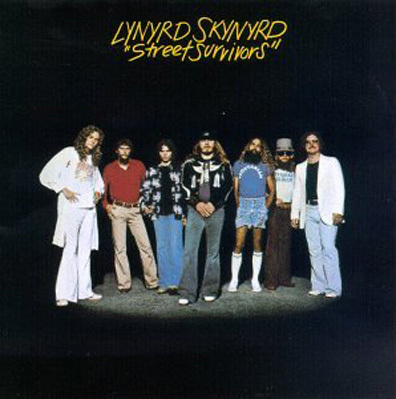 The LP is the last Skynyrd album ever recorded by original members Ronnie Van Zant and Allen Collins, and is the sole Skynyrd studio recording by guitarist Steve Gaines. 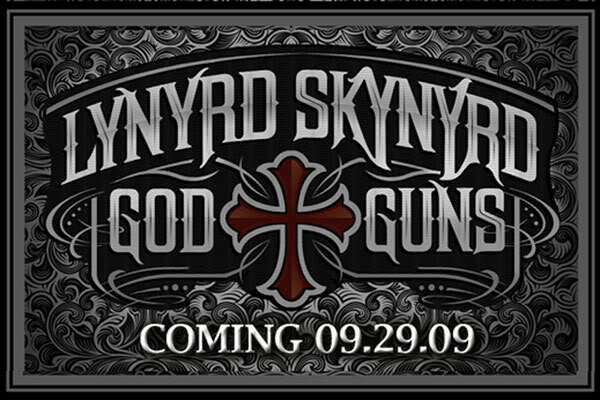 Three days after the album’s release, on October 20, 1977, the band’s chartered airplane crashed in route to Baton Rouge, Louisiana, killing the pilot, copilot, the group’s assistant road manager and 3 band members, including Van Zant, Gaines, and backup singer Cassie Gaines (Steve’s older sister), and severely injuring most who survived the crash. The album performed well on the charts, as did the singles “What’s Your Name” and “That Smell” (with “What’s Your Name” peaking at #13). The sleeve shows them pictured surrounded by flames. Keith Moon is pictured sitting on a chair marked “Not To Be Taken Away” this was not to be the case as within months he was dead as a result of an accidental overdose of prescription tablets given to him to help his battle with alcohol.